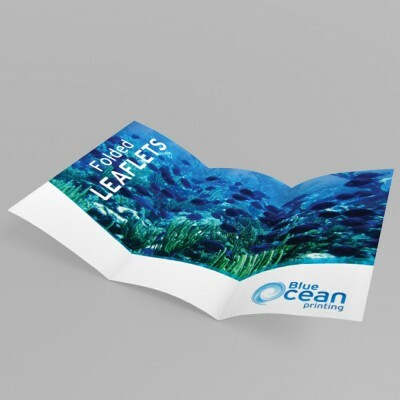 Colour, shapes, lines and fonts play a major role in the printing world and often have a great impact upon the manner in which customers react to your marketing flyers. 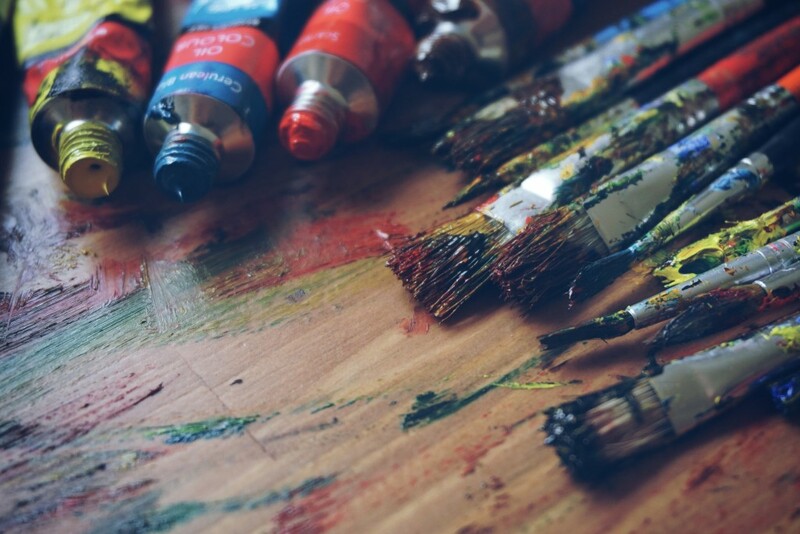 Some colours are synonymous with particular feelings. Different shapes have different psychological meanings to us, while different fonts can be used to evoke and suggest particular feelings and concepts. Red is associated with a raised heart rate which points to several different emotions: passion, energy, danger and aggression. It covers a spectrum of emotion but tends to dominate, so be careful when using it. Red is very popular for sales and offers as it’s attention grabbing. Red is also a popular colour for the automotive, technology and food industries, but is unpopular among finance, energy, and clothing companies. Orange is another colour that evokes a sense of energy, particularly heat and warmth. Picture the sun or a blazing fire. Orange has the brightness of yellow and the energy of red; it’s a colour for fun and excitement. Orange is popular in the health and technology industries, and unpopular in finance, clothing, transport and energy industries. Yellow is a difficult colour to work with in print. It’s an optimistic colour associated with the sun and works well with red, especially for promoting offers and sales. It’s eye-catching. Very popular in the energy, food and household industries, but unpopular for technology and travel. Pink has very strong feminine qualities and is usually used to target young girls and women. It’s a calming colour, evoking romantic notions, associated with flowers and hearts. Pink is powerful for clothing and beauty industries, especially for younger women, and has recently become popular in automotive and travel sectors. Black is a surprise as a warm colour and adds elegance and sophistication to a design. Its associations with power, wealth, and luxury make it excellent for luxury promotions. Black tends to be the main colour on flyers for clothing, jewellery, and luxury cars. Black isn’t as popular for health and energy. 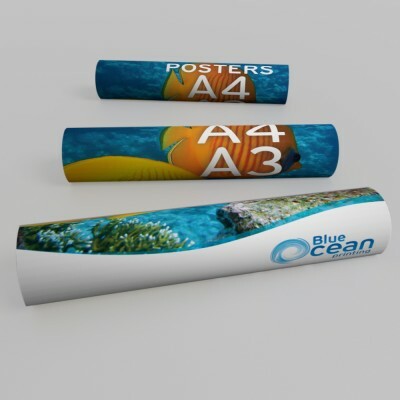 Blue is a very popular brand colour, especially in print and on social media. It’s calming and associated with the ocean and sky. It evokes a feeling of security and trust and is extremely popular in corporate, financial, and technology sectors. Purple is a regal colour associated with elegance. It’s soothing and creates a nostalgic feeling that is very powerful. 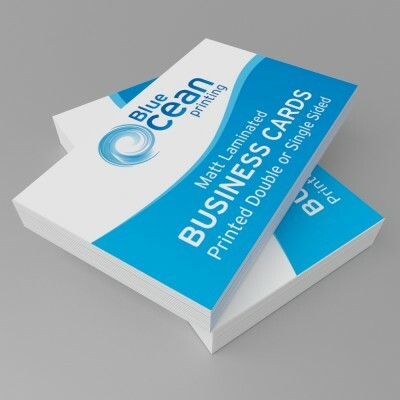 It can add a touch of pure elegance to your flyers and is very popular in the beauty and health industries but is unpopular for agricultural and energy businesses. Green is a fresh and healthy colour carrying associations of wealth. It’s easy on the eye and effortless to process, making it very relaxing. It’s incredibly popular among health brands, particularly pharmacies. 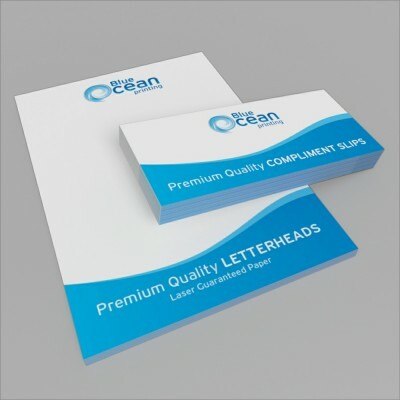 White is one of the most enduringly popular colours in print. It works well with virtually every other colour but is best avoided when using pale shades, particularly those of orange and yellow. It represents purity and cleanliness, and as such, it can feel clinical. Popular in the wedding and fashion industries, it has recently enjoyed a surge of popularity in technology and automotive sectors. The curved lines of circular shapes are generally perceived to be feminine. They evoke feelings of warmth, tenderness, love, affection, care, friendship, compassion, comfort and support. The expression ‘think outside the box’ means thinking unconventionally, hence boxes represent the status quo: familiarity, reliability. Angular shapes also evoke feelings of stability, strength, balance, power and dependability. The triangle is a masculine shape associated with power, energy, balance, science, law and religion. Shapes and lines that are vertical convey a strong sense of masculinity, power, strength, courage, aggression, dominance and brutality. Conversely, horizontal shapes and lines convey a strong sense of femininity, calm, tranquillity, peace, rest, silence, weakness and stillness. Serif fonts are traditional, stable and respectable. They have a distinguished feel that evokes a sense of pedigree and heritage. They give the sense of a reliable, comfortable brand that’s stable and reputable. Sans serif fonts are straightforward, simple, and sensible. These fonts are perceived as simplistic, clean and modern. Your message speaks for itself in a sans serif font, without the need to hide behind a façade. They are seen to be current and contemporary. Script fonts are feminine, fancy and personal. They evoke feelings of grace, elegance and femininity. They carry the affectionate nature of handwriting and are perceived to be creative but also personal, heartfelt and genuine. Display fonts are quirky, friendly and unconventional. 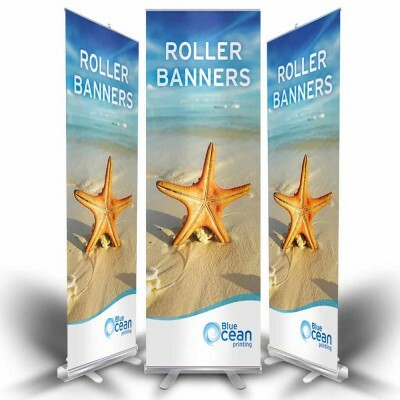 They are generally displayed in larger sizes and are bold, giving the impression of a bright, big personality that draws in readers. Display fonts can be a little loud, so they’re generally used for amusing and friendly purposes and to arouse curiosity. 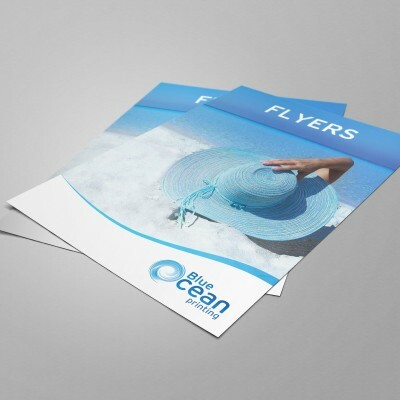 Hopefully the above points have given you ideas on creating the design for your flyer. 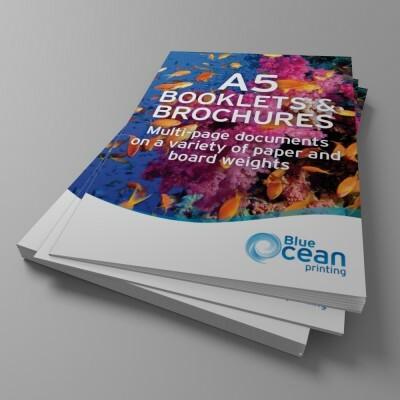 However, Blue Ocean Printing are here to help, so for expert advice and guidance on flyer designs and flyer printing in Stevenage and the surrounding areas, look no further! Whatever the job, big or small, we’re happy to help. Call us today on 014378 90 70 70 to see how we can help, or contact us here.